Nanaimo – Camping in Nanaimo. Maps of Nanaimo, Photos and Reviews for each camping in Nanaimo. Looking for a hostel in Nanaimo? Look no further, all the good deals in Nanaimo are on Dorms.com. Like thousands of other people every month, book your hostel securely at the best price in all neighbourhoods of Nanaimo. 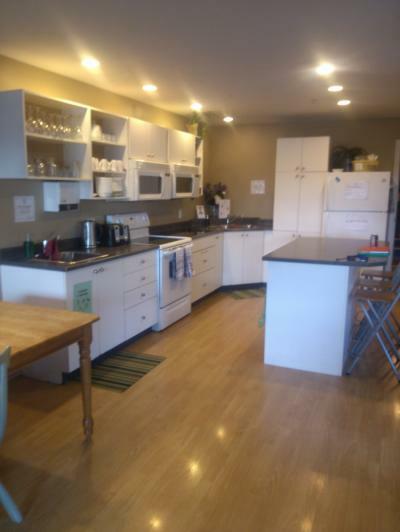 On this site, you can easily find a hostel downtown, in a trendy neighbourhood; a hostel in the student- university district, close to bus or train stations, airports or major attractions of Nanaimo. Our Nanaimo guesthouse is located in the heart of the city, within easy walking distance to the famous harbourfront walkway, tourist attractions, boutique stores, pubs, restaurants, coffee shops and the Port Place Shopping Centre. We are only one block from the Coast Bastion Hotel, the Best Western Dorchester Hotel and the Vancouver Island Conference Centre. Bus terminal: 10 min walk, 2 min drive, Ferry terminals: 6 min drive. Seaplane terminals: 1 block, Oceanfront seawalk walkway 1 block. The location was awesome... super close to downtown, the old city quarter, and the sea wall. Sabrina at the front desk was super helpful and friendly. I liked the big community room!